Known for centuries as a microporous material, with excellent absorbing properties, it has always been used for household care to deodorize, purify and control humidity, in food for its capacity of absorbing digestive waste. More recently it has been introduced in water and oil purification. Charcoal Powder is above all an important functional ingredient in cosmetics, widespread in Japan, South-Korea, China, Taiwan. Its porous structure makes it ultimate for the absorption of minerals, toxins, impurities and other skin-damaging substances, with a purifying and detox effect on both face and body. Also it uses a delicate exfoliating action, cleaning pores and removing dead cells, stimulating cell turnover, improving the skin look and brightness. It suits all kinds of skin, and it is especially recommended for fat and acneic skins for its capacity of absorbing extra sebum and improve skin cleanness. It can be also used in such hair-care products as scalp-purifying masks, fat-skin treatment etc. 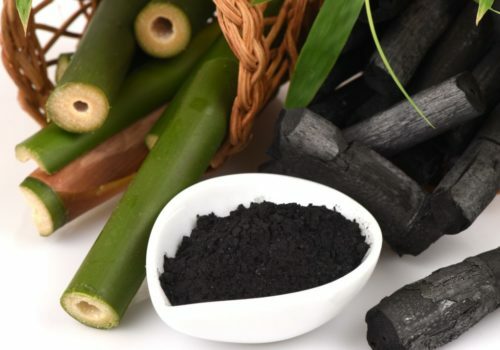 This vegetal carbon is a versatile ingredient, usable in any kind of formulation: face masks, face and body scrub, gel, solid soap, liquid detergents. It has no restrictions when it comes to the cosmetic guidelines, complying with European, Chinese, Japanese and Korean regulations.